The house is absorbed in an succession of hills, whose soft form makes the extremely various and harmonious landscape..
From the ancient country farm of the '700, restructured maintaining the native architecture, you can be enjoyed of a panorama that goes from the Adriatic sea to the Sibillini Mountains, embracing the countries of Fermano. "La Casa dei Nonni" offers a chance to live in the arts, since each room is dedicated to one of the contemporary artists from the Marche's area and it's made precious with their original pieces of work. 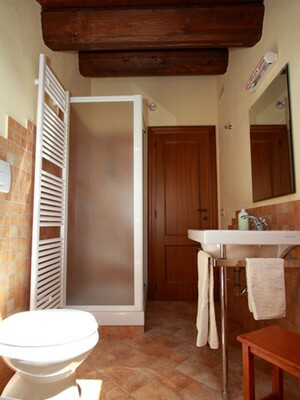 The house has three double bedrooms with private bathroom. 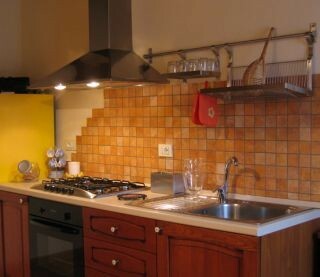 The price includes breakfast, kitchen, air conditioning, table tennis, table football, solarium. No experiences yet with La Casa dei Nonni. Be the first! 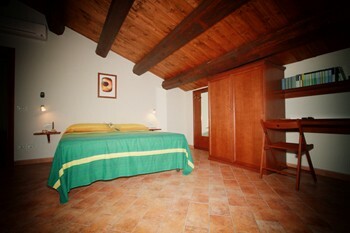 Did you stay in La Casa dei Nonni? Let us know what you thought about it and help others to make the right choice! * I confirm having stayed in La Casa dei Nonni. 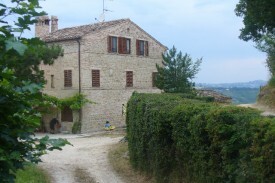 Find other bed & breakfasts in Monteleone di Fermo or all bed & breakfasts in Marche.